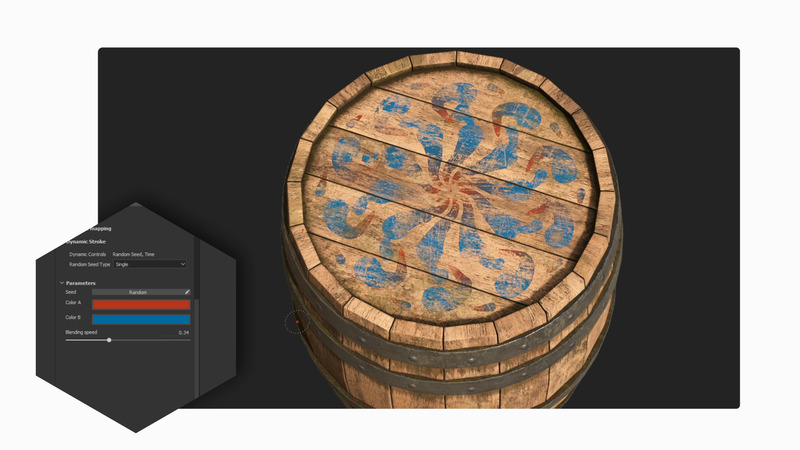 The PBR real-time viewport lets you work on asset look development. Create in Substance Painter and get real-time feedback in UE4 and Unity thanks to the live link. 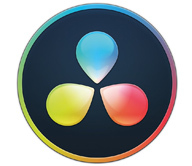 Unleash your creativity with powerful tools and a non-destructive workflow. Tear and wear, scratches and dust instantly appear where they're supposed to. Apply the same mask preset on any type of object and have it adapt automatically. Baking is where it all starts. Bake high-quality maps in an instant directly within Substance Painter. Get 1:1 engine exports and share directly to portfolio sites with dedicated formats. For what's new in v2019.1, check out the Details tab. What's new in Substance Painter 2019.1? Some of you may remember us showing a hacky prototype of this a few years ago at a Substance Day event. Well it is finally here, for real. You can now enjoy tessellation and displacement in both the viewport and Iray. Import a displacement map and marvel at the newly detailed silhouettes, or paint in your height channel to literally sculpt your asset in real time. Displacement is great, but how about a way to blend and layer materials easily using their height data? The new Compare Mask effect does this and more. This new mask effect allows you to blend by comparing the content of the current layer with the one from the layer stack underneath, similar to the Blend-if function in Photoshop. Combine it with the updated Seamless Material sample project to create tileable environment materials rapidly. The Compare Mask is useful for creating quick height blends - but not just for this! It also works with any other channel in your texture set. This one is a doozy. Dynamic Strokes introduces a way to generate procedural brush strokes based on Substance parameters. Your brush can evolve over time, swap its alpha at random or even generate a whole new material with each stamp. The way this works is that any Substance file can be used as a material or alpha when painting and becomes aware of each stamp being drawn, and can react accordingly. A simple example could be a grungy alpha that generates a unique shape with each new stamp, making each stroke totally unique. The brushes can also be time-sensitive, fading out, changing color, morphing, or doing any kind of crazy thing based on how much time has passed since you started painting. You can even go further and combine all these functions into one, and come up with something like this Ivy generator, which spawns unique branches along the stroke path, branches alternate sides, and each successive branch becomes smaller than the previous one based on the speed of the stroke. Black magic right there. This new version of Substance Painter ships with a set of new tools taking advantage of dynamic strokes, and you can check out the documentation to create your own in Substance Designer. There's also a tutorial by our very own Wes McDermott, right here! We can’t wait to see what crazy behavior you’ll come up with! Until now, Substance Painter has given you a choice between a good old UV projection and a Triplanar projection for Fill layers. Two new projection modes have just been added, and more are on the way. You can now choose between a Spherical and Planar projection for your layer. With the Planar projection, your Fill layer will then act as a decal and several options allow you to play with tiling, as well as with how far the decal affects the geometry. A new placement gizmo makes it super-easy to move the decal around your asset: simply drag it around and it will snap to the surface of your mesh automatically. The planar projection comes with culling settings to fade properly with the geometry. The Symmetry tool has been improved with a brand new Radial option. Special shoutout to all of you spirograph fans out there. A release of Substance Painter is never complete without some UI tweaks, and this time the Layer Stack, Texture Set list and Channels list went through the hands of the UX team. You may notice loads of eyes looking at you from the depths of the layer stack. 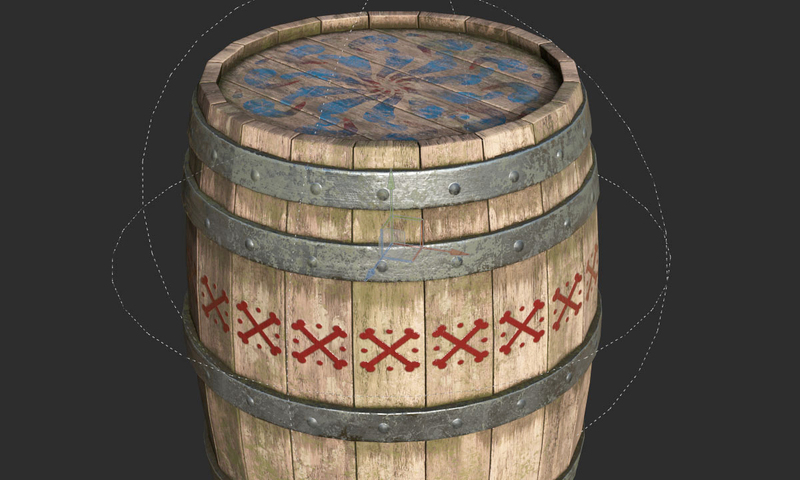 These are migrating from Photoshop to Substance Painter in the first of a series of efforts to close the gap between both tools and unify the user experience. You will see more meaningful and interesting synergies as we move forward. The Texture Set list has also received a little makeover and you may notice that you can now select multiple Texture Sets at once. Why, you may ask? Go to the Texture Set Settings window to find out why… Yes! You can now change the settings of multiple Texture Sets at once, allowing artists who work with UV Tiles to lose a little less hair each day. Finally, but may I say most importantly, the Channels list in the Properties window has been updated with a small but undoubtedly welcome addition: clicking on a channel with the Alt key pressed will single out this channel; doing it again will reactivate all the other channels. You’re welcome! Dithering of exported normal maps was introduced late last year and a lot of you asked for an option to override it, so here it is. Finally, on top of the new Dynamic Strokes Tools, you will find a series of new effects, alphas and filters. You can find a full list of new assets on the Updates tab. Substance Painter is available in Indie or Pro license: both licenses are full-featured, the only difference comes from a revenue limit. On how many computers can I install Substance Designer with 1 license? As many as you want (PC and Mac). But you can launch the software on only 1 computer at a time. As many as you want (PC and Mac). But you can launch the software on only 1 computer at a time. Can I work on commercial projects? Yes Yes, if your company/entity makes less than $100K per year in revenue. Can I use Substance software on a project as a freelancer? Yes Yes, if your company/entity makes less than $100K per year in revenue. 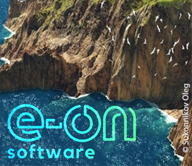 Can I resell assets (including substances) created with your software? Yes Yes, if your company/entity makes less than $100K per year in revenue. How many version upgrades will I get when I purchase one of your software? All the minor upgrades versions (.x) are for free. All the minor upgrades versions (.x) are for free. Can I upgrade from my version to the new version, when the new one is released? Yes, you can upgrade for a fair price depending on each product. You don't need to buy a full new license. Yes, you can upgrade for a fair price depending on each product. You don't need to buy a full new license. Can I get a Steam key if I purchase 1 license on your website? Yes, contact us to get it. Yes, contact us to get it. With this release our brush engine now supports what we call Dynamic Strokes. These type of strokes create variations and new effects thanks to the generation of new Substance versions on the fly. Having a new Substance material or alpha for each new brush stroke painted on your asset is now possible. Stamp Index : ID / Number of a stamp inside a stroke. Random Seed : Can change per stamp or per stroke. Time : Elapsed painting time of a brush stroke, painting fast or slower produce different results. Stamp Start : From Beginning (always start the index from 0) or From Random Index (choose a random position between 0 and the maximum defined by Stamp Cycle Count). Stamp Cycle Count : This parameter defines the total amount of Substance variations that will be generated. In order to optimize performances this parameter works as a limit. 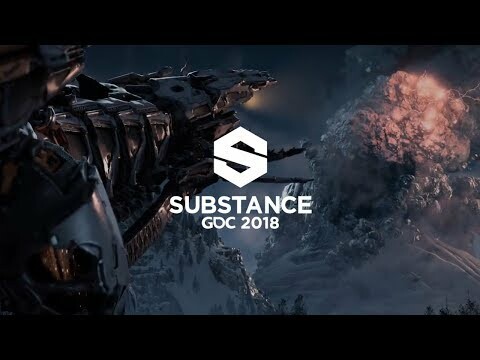 Substance Painter use it to recycle what has already been generated instead of creating something new. Resources compatible with the feature also get automatically a new tag named "dynamicstroke" to make them easy to filter by keywords in the Shelf. We also added a lot of new tool presets to play with. Substance Painter now supports Displacement and mesh Tesselation in both its realtime viewport and in Iray. They can both be controlled in the Shader Settings window below the shader parameters. Source Channel : Channel from which the mesh deformation is based on. Default is Height but can be set to Displacement as well. Scale : Controls the amount of deformation applied to the mesh in the project. Subdivision Mode : Uniform or Edge Length. Determines how the amount of subdivision is computed. Subdivision Count : (Mode Uniform) From 1 to 32. A high value produce more polygons which gives more details but can introduce performance issues. Max Length : (Mode Edge Length) 1 / Value. Every polygon edge is divided until each segment is equal to or shorter than this number, 1/1 being the size of the scene. Load the "Tiling Material" sample project (via File > Load Sample) to quickly give a try at this new feature. NOTE: A new filter named "Height To Normal" has been added in the Shelf and can be used to get the final normal map (in case the native conversion by Substance Painter is not strong enough). Creating and blending materials can be a bit tough sometimes which is why we created a new effect named "Compare Mask". This effect allows to quickly and easily compare two channels and produce a mask as a result. Channel : The channel to compare between the source and the target to create a mask from. Compare : Three parameters are available here to chose how the mask should be computed. The dropdown in the middle define the comparison operation (lesser than, within tolerance, greater than). Constant : Value to compare against when the compare setting is set to "constant". Hardness : Control the smoothness/hardness of the resulting mask comparison. Histogram : Provide an histogram view of the source and the target. Useful to know if they overlap a bit or not at all (if they don't overlap the mask will be empty). To make things even more easier to setup, you can right-click on a layer and choose the shortcut "Add mask with height combination" to quickly add this new mask on your layer. This shortcut will also switch your Height channel blending mode to "Normal" instead of the default "Linear Dodge (Add)". We expanded the capabilities of our symmetry tool to handle radial symmetry. There is now a new mode in the symmetry settings menu to enable it (available in the contextual toolbar). X / Y / Z : Controls the direction of the symmetry axis used by the radial symmetry. Count : The number of duplicated points. Angle Span : The location of the duplicated points from the original one. This setting can be used to make a full circle or a quarter of it, etc. We also added a little preview to make it easier to tweak the settings before starting to paint. Two new projection modes have been added with fill layers and fill effects : Planar and Spherical. We also added a lot of new parameters to control further the behaviors of the 3D projections. New Planar Projection mode - Projecting a plane is now possible with this new mode. It can be useful for creating stripes on vehicles or placing decals at a specific location. Surface Tool for Planar Projection - To make the planar projection easy to manipulate we also added a new control for the 3D Manipulator that we call Surface Tool which can be accessed with the shortcut "Shift+W". It can also be accessed from the Contextual Toolbar. Note that this new mode is only available with the Planar Projection. Planar Projection Culling / Fading - Multiple settings are available to make the planar projection either continuous or finite. When a culling setting is enabled, the doted box around the manipulator indicates the bounding box for the projection and the middle line is where the projection starts. Scaling the projection allows to control how far it goes and when it starts to fade. New Spherical projection mode - Spherical projections are now doable with this new mode. With it you can achieve advanced patterns or follow more easily curved surfaces. New Shape Crop settings - 3D projections now have a setting that controls the repetition of the projection. Very useful for example for a decal to repeat only on a specific area without having to mask it manually. Moved and Renamed existing settings - Because of these new projections we reworked a bit how some settings work. For example "Tiling" has been renamed has "UV Wrap". The tiling now can be set only vertically or horizontally. The Scale, Rotation and Offset are now part of a new parameter group named "UV Transformations" to be more consistent across projection modes. Improved Rotation Manipulator all-axis mode - Instead of drawing an explicit sphere, it is now hidden to avoid hiding the texturing below. Clicking in-between the axes will select the sphere which allows to rotate all the axes at once. Multi-Selection for Texture Set - Selecting multiple Texture Sets to change their resolution all at once via the Texture Set settings is now possible. In multi-selection mode there is still the notion of a "main" Texture Set, which is why additional elements are selected in gray. If you need to switch to a different Texture Set while keeping the current selection, you can use the middle mouse button to do that. Quick show/hide in Texture Set List - You can now click and drag (like in the layer stack) to hide or show Texture Sets. Improved UI for Layer Stack - We changed the icon for the hidden/show state of a layer to be more consistent and easier to understand. We also changed the way selected layers are displayed to be easier to compare with the selection of their effects and other layers. New effect position based on current selection - Any new effect added on a layer will now be put just above the currently selected one. Quick toggle of Material channel buttons - You can now press ALT and click on a channel button to isolate it. Clicking again will enable back all the channels. Dithering at export - Dithering can now be disabled via a dedicated setting in the export window next to the file format and bit depth. For more information about how and when dithering is applied see the export documentation. Better Histograms - We reworked our histogram generator. Histograms should now display more accurate information and update properly after a change in the layer stack. Better Instancing of layers - Instanced layers now have their blending mode set to "Pass Through" instead of the default blending mode. This blending mode will improve the compatibility of some effects when layers are instanced across Texture Sets. In this release we also added a lot of new content : from presets to alphas and even new powerful filters. New Brush and Tool Presets - This release introduces the new Dynamic Strokes feature and with it we added some Brush and Tool presets ready to use. 93 new Alphas - There are too many to enumerate them all, so take a look at the "Alphas" section of the Shelf and you will see lots of new Arrows, Triangles, Signs and other kind of shapes. 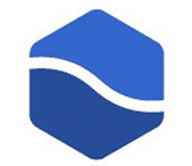 Blur Slope : A new blur filter has been added to the family. This filter works in a similar way to the warp filter : use the existing input or a custom one to blur the target channel. Bevel : Creates a gradient border around a shape, useful if you want to expand your mask for example. Color Match : This filter tries to match a Source color to a Target color. Handy for adjusting colors on a material. Gradient Curve : This filter provides a list of curve presets that can be applied on any grayscale input to change their look. Gradient Dynamic : Remaps a grayscale input by a new input image (grayscale or color). Height Adjust : This filter provides two settings to easily manipulate the height channel : Offset and Multiply. Height to Normal : This filter converts the Height channel into a Normal and feeds it to the Normal channel. It has different intensity controls depending of the needs. Mask Outline : This filter creates a white on black border around a grayscale input. This is most useful in Mask to create borders around shapes. PBR Validate : We added this filter to check that your PBR material colors are in the right ranges. For more information check out the PBR Guide ! MatFX Peeling Paint : Simulates old paint starting to peel. This filter outputs alpha which makes it easy to blend with materials below it. MatFx Water Drops : Simulates water drops on the surface of an object. Like water on a car after the rain. Ambient Occlusion : Mask Generator that offers controls over the Ambient Occlusion Mesh map. Based on the Mask Editor. World Space Normals : Mask Generator that offers controls over the World Space Normals Mesh map. Based on the Mask Editor. Position : Mask Generator that offers controls over the Position Mesh map. Based on the Mask Editor. Curvature : Mask Generator that offers controls over the Curvature Mesh map. Based on the Mask Editor. Auto Stitcher : Mask Generator that creates stitches near the UV borders, the Mesh Curvature or around a custom mask input. UV Texel Density : Helper that outputs a colored gradient based on the Texel Density of the polygons of the mesh. UV Random Color : Generate a random color per UV Island (or based on a custom gradient input). NOTE: The Mask Editor has been updated and is not compatible with its previous versions. It means that if you use the Resource Updater in your project to switch to the latest version it will breaks your tweaks and reset them to default. [SSS] Added a new grayscale channel named "Scattering"
[UI][New Project][Project Configuration] Replace "Mesh" term by "File"
[Shortcuts] New shortcuts for toggle stencil "N" and quick mask "U"
[Shelf] Typo for the bitmap "Authorized Personnel Only"
Substance Painter changes its versioning number.